Children and adults alike love learning about dinosaurs and I hope you’ll enjoy reading my latest collaboration with Andrew Plant, The Little Dinosaur. Since this is a review site looking at how picture books can be used to introduce science themes, I’ve decided to include it here. Since I cant really review my own book however, I’d like to point you to some other worthy review sites. The Little Dinosaur sits apart from other dinosaur books, which are usually about North American or European dinosaurs. In the Cretaceous, Australia was part of a land mass called Gondwana and the climate was quite different to what we experience today. Below the Antarctic Circle, Australian dinosaurs had to search for food in ice and snow. Dinosaurs fit into a number of places in the curriculum, both from the point of view of biological sciences and earth and space sciences. There is the opportunity to look at adaptations and environment and how the features of these little polar dinosaurs suit them to their enviroment. Over time the earth changes a great deal, Australia moves North and new types of plant and animal life emerge. The book is in two parts, the dinosaur becomes a fossil and we follow the steps that scientists take to recreate the past based on clues hidden in the rocks. It therefore fits into Science as a Human Endeavour and is a practical application of Science Inquiry skills. There are links to teacher’s notes on my website and a crossword puzzle and wordsearch. Also some links to useful websites. Follow up activities could include making fossil imprints of leaves or shells in dough, plaster of paris etc. I’ve used something called paper magiclay because it doesn’t leave a mess. You can download or make stencils of dinosaurs and create a Cretaceous scene. recognising that interactions between living things may be competitive or mutually beneficial. Invisible Me is the third in a series of stories about Stripey, an ’emu with attitude,’ created by Western Australian artist/author Wendy Binks. The first book in the series, ‘Where’s Stripey,’ was winner of the WA Premier’s Book Awards, Children’s Section. Stripey lives in Fair Dinkum flats with his parents Crikey and Sheila and wonders why he has stipes but his parents don’t. His sister, Leggy, tells him it’s to make himself invisible when he’s in a special place so Crikey sets off to find that special place. In this tale about camouflage and habitat, Stripey meets other Australian animals along the way, including a red kangaroo hidden amongst the rocks, a goanna on a tree and an echidna on a back porch. In a delightful twist, Stripey thinks he’s found his special place with humans …but I won’t spoil it by telling you. In the end, however, Stripey does find his own special place out in the bush where he is safe and loved. Binks’ illustrations are cheeky, vibrant and lots of fun. The characters have their own voices and the subject is treated in a light-hearted way. Children and adults alike will enjoy the illustrations and looking for the hidden characters. Binks has included interesting facts at the end of the book. about the animals in her book; emus, echidnas, western ground parrots, red kangaroos, flying foxes and goannas. As support materials Binks has downloadable colouring sheets available at her Stunned Emu Designs website and she is available for author visits to schools. Linking the science themes in the book with some artwork would keep students engaged for hours. 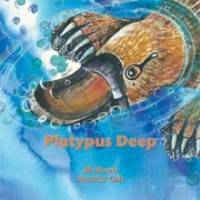 Platypus Deep is the story of Orni the platypus and his search for a new place to build a den when his old home is destroyed by a savage storm.Author and conservationist Jill Morris likes to make plays on words with the names of her characters. The scientific name for a platypus is Ornithorhynchus Anatinus and upstream from Orni lives Anatina, feeding her babies; while downstream lives the old and fierce platypus, Rhyncus. A good way to introduce your students to the idea of scientific names and that they are important because there can be so many common names for the same thing. Morris gives us a clear sense of the habitat of the platypus in her opening pages; In the ‘secret pool on a quiet creek,’ we meet sandpaper figs, fig parrots, butterflies, frogs, echidnas and yabby’s, which all share the pool with Orni. We learn what Orni eats and also the food web relationships between the other inhabitants of this little ecosystem. Later a dingo visits the pool and we get a sense that there are predators even further up the food chain. Morris also shows us some of the adaptations and characteristics of the platypus and other animals. Anatina feeds her babies upstream, clearly mammalian, the snake soaks up the sun for warmth, and Orni and Rhyncus battle with their posion spurs as they compete for the pool downstream. There is also a sense of changing landcape here, which fits in with the Earth and Space Sciences stream. There is the rapid change due to the storm, geological changes over long periods of time and the changes caused by the impact of humans and pollution. Morris sends a clear message here and her inner back cover states that ‘in 2005 the people of Maleny protested unsuccessfully against the building of a supermarket on the bak of Obi Obi Creek, the habitat of a large colony of platypuses. Illustrator Heather Gall lives near Maleny in Queensland. Morris doesn’t let the science get in the way of the story-line and so it’s an enjoyable read on it’s own merits. It’s also a book that could be used on a number of different levels, even with older children as an exercise in drawing food webs.It’s particularly relevant at level 4, looking at interactions between organisms. Local and authentic content makes the exercise much more worthwhile. Jill Morris has produced a number of books with conservation themes through her Greater Glider publishing. A review of her book ‘Green Air’ on this blog can be found here. You may also like to read a review at Aussie Reviews. Daily and seasonal changes in our environment, including the weather, affect everyday life. Observable changes occur in the sky and the landscape. Earth’s surface changes over time as a result of natural processes and human activity . Tagged as australian animals, australian food webs, biological sciences sub-strand, environmental education, food chains, food webs, greater glider publications, heather gall, Jill Morris, literacy and science, monotremes, national curriculum, obi obi creek, picture book, platypbus books, platypus adaptations, platypus habitat, primary science. Life’s tough for a saltwater crocodile, in the early days at least. As a hatchling, Cranky the salty has to watch out for hungry turtles and sea eagles while herself snapping up insects and tadpoles. As she grows, her diet successively changes from little fish and prawns, to larger fish, frogs and fruit bats. Bigger still, she waits for wild piglets but has to escape from an even larger crocodile. Lawrenson has carefully woven much information about saltwater crocodiles into her tale of Cranky’s search for a place of her own. We are shown that crocodiles are part of the natural order of things, rather than something to be feared. As a youngster, she is just as vulnerable to human predation as we are to her when she is bigger and stronger. 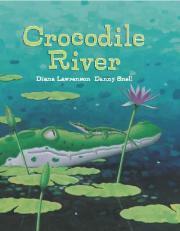 The end papers of the book contain fact about the crocodile’s life cycle, habitat and adaptations. My only gripe with this book as a science teacher is the tendency to attribute words and thoughts to Cranky, who really wouldn’t be using language. I’d be interested in hearing the views of others on this. The predator/prey relationship here is really strong and it would work well as an introduction to food webs. In terms of life cycles, we see Cranky progress from one of many eggs, through the vulnerable hatchling stage till she is finally an adult. It could be used in the early years as an introduction, or in later years as a practical exercise in food chain/web mapping. Cranky goes full cycle, from being prey to predator. It’s great to have Australian texts to work with rather than outdated or overseas texts. Crocodile River is equally applicable to any discussion on habitat or adatations. Teacher’s notes can be accessed through either Lawrenson’s website or via the publisher, Working Title Press. Tagged as adaptations, australian animals, biological sciences sub-strand, crocodile adaptations, crocodile food web, crocodile habitat, crocodile life-cycle, danny snell, diana lawrenson, environmental education, food chains, food webs, primary science. So begins one of my favourite picture books of the past few years. ‘There Was An Old Sailor,’ written by Claire Saxby and illustrated by Cassandra Allen is a fun new look at an old children’s classic. Modelled on the rythms and patterns of ‘there was an old woman who swallowed a fly,’ it looks at an old sailor, who successively swallows larger and larger ocean creatures until…well I won’t spoil the punch-line. You’ll have to read it yourself but it certainly appeals to kids. 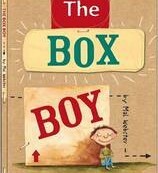 This is a great read-aloud book and the repetition that young children will love joining in. Getting rhymes to work in stories is something that seems easy but is in fact quite difficult and Saxby has done a great job. Allen’s illustrations are also really appealling, with a great range of exprssions on the sailor’s face as he contemplates eating a seal, a shark and a whale… of course, a sailor couldn’t really swallow a whale but these illustrating make it all seem quite feasible. The last pages of the book contain some fishy facts about ocean creatures. Saxby’s book won the SCBWI 2011 Crystal Kite award. This award is voted on by other authors and illustrators, so it’s a great verification of her work by her peers. The book was also short-listed for the Speech Pathology Australia Book of the Year Awards 2010, Young Children Category. Walker books have provided a set of classroom ideas which you can access here. There are some great ideas to use in the classroom, as well as a quiz which you can print out which students can answer from the fishy facts at the back of the book. Making puppets, making rhymes, looking at the art-work…lots of links between literacy, science and art. Walker have also provided a colouring sheet for younger children…or perhaps older ones too! The obvious science links here are food chains/webs and this little story would be a great way to introduce it as a concept for younger children and even for older children. I’ve used picture books in secondary classes as a way to get kids engaged. You could make a food web, linking students with string or model one in 3D with artwork. It also relates to habitat and the types of creatures which inhabit an ocean environment, their adaptations and they way in which their needs are met. On a simpler level, it can be used to look at children’s needs, what they need to eat and their own requirements. If you’re interested in finding out more about the story behind the story, you can read some of the posts on it’s blog tour at great review sites such as kid’s book review.